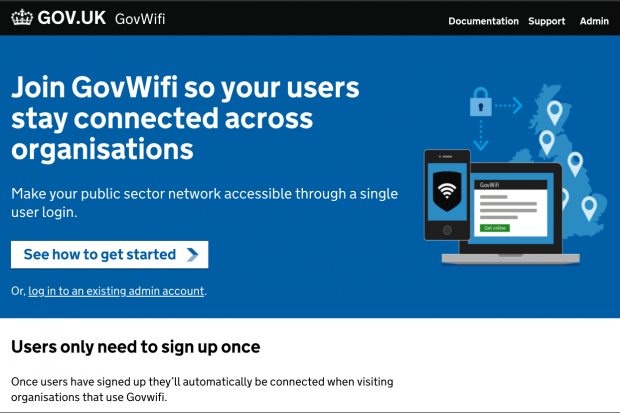 As we have previously blogged, GovWifi has been designed to replace user and guest wifi with a single secure wifi connection. With increasing numbers of public sector workers having to be mobile, it’s important for them to be able to get online wherever they’re working. GovWifi has made this easier and users have told us they really appreciate not having to ask for guest wifi passwords when visiting other buildings. GovWifi is used more than 2 million times a month, which is twice as often compared with a year ago. Having made GovWifi easy to use for staff, we next turned our attention to departments’ IT and support teams. These are the people who install GovWifi and provide help and assistance to civil servants and public sector workers using the service in the buildings they manage. Until recently, registering an organisation on the GovWifi network was a manual process which involved emails and telephone calls. As more and more organisations signed up to join GovWifi, this was sometimes a slow process and it took time away for us to develop new features. We knew we had to make this process simpler for IT teams and the best way to do this was to automate everything. So we built a self-administration portal that allows IT teams to register themselves with GovWifi. As ever in GDS, we wanted to know precisely what the user needs were to make automation as easy as possible. So we met with a range of organisations – local authorities, central government departments and arm’s length bodies – to find out if they had any issues when signing up to GovWifi. We then built a prototype of the self-administration portal and invited a few organisations to try it out. Thanks to their comments, criticisms and suggestions, we refined the product and now have it up and running on GOV.UK. We’re still testing it and continuing to fine tune it based on user feedback. 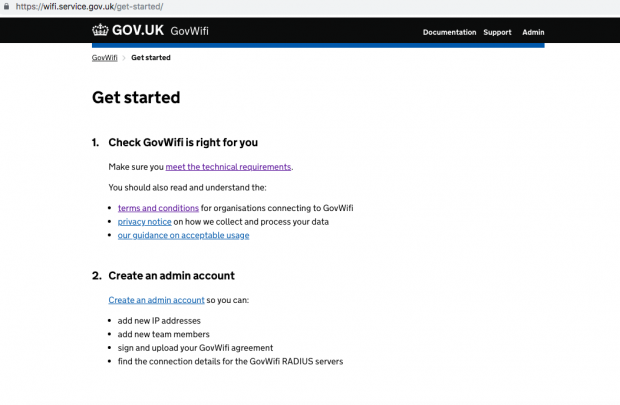 But organisations can already check whether they meet the technical requirements needed to access GovWifi, view the terms and conditions for joining the network and create an admin account. And handily, you can see at a glance whether GovWifi is fully operational or not. 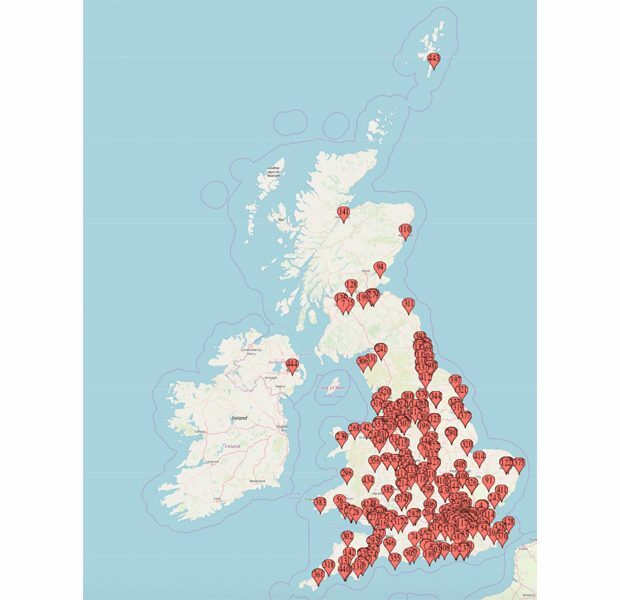 More than 100 local and central government organisations have signed up for GovWifi around the UK. It’s now available in more than 300 HMCTS courts in England and Wales, is used by the Maritime and Coastguard Agency all around the coast and numerous hospitals, police and fire rescue services. So if your organisation is not yet on GovWifi, now’s the time to apply. You can register your organisation on the new GovWifi self-administration portal.